Want to know how to backup iPhone over WiFi? 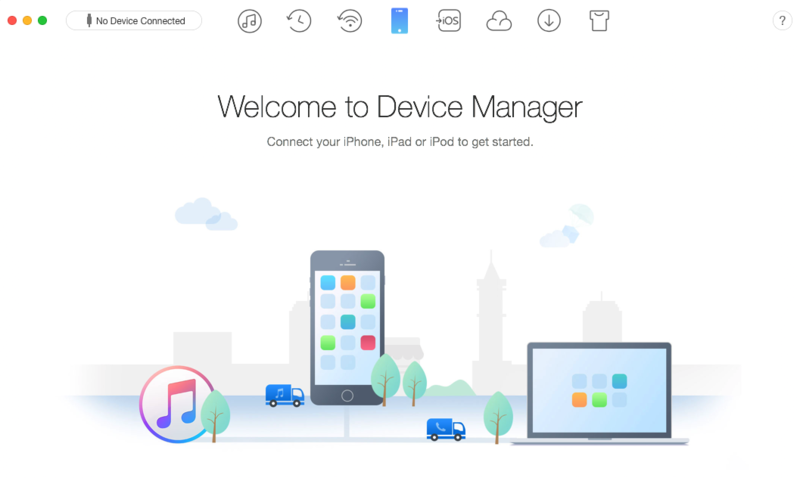 Follow this tutorial to get a powerful tool, automatically backing up your iPhone iPad as planned. However, as we keep using iPhone iPad, it will generate more and more new data, which has not backed up yet. So you need to connect it to iTunes with USB, and backup it again and again. What an inconvenience. Isn’t there a way, or tool to help us backup iPhone iPad regularly and automatically, without USB connecting, just using WiFi? The first thing coming to your mind must be iCloud. 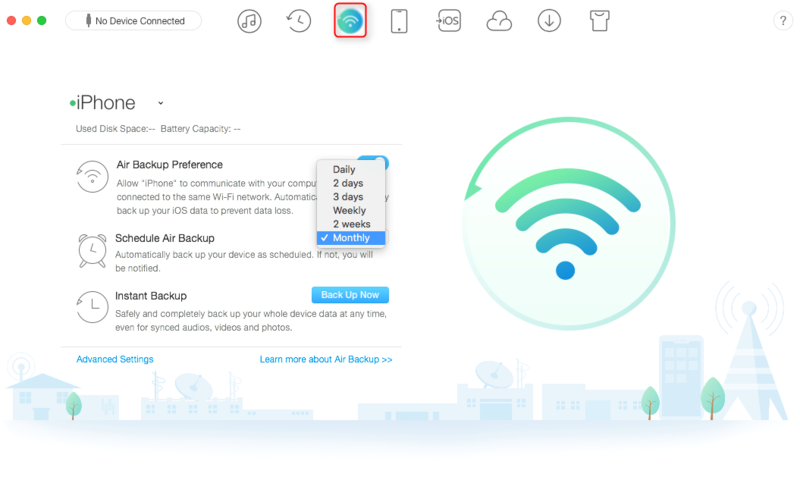 Truly, iCloud backup feature allows users to automatically backup iPhone iPad over WiFi. 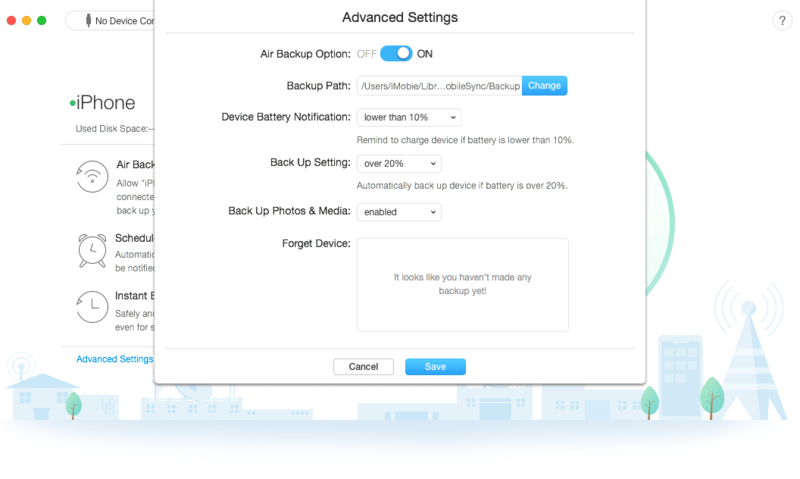 But you also need to know that iCloud does not enable users to backup their devices as they plan. And their power should be enough. Besides, every time backing up, iCloud will make a new backup file, which will eat iCloud storage quickly, and be very time-consuming. So base on these shortcomings, we recommend you another powerful application – AnyTrans, to get the job done more smoothly. AnyTrans, basically working as best iOS content manager, is also capable of backing up iPhone 8/X/7/6s/6/5s over WiFi. AnyTrans enables users to make a backup schedule, from one day to one month. So as time is up, it will automatically backup iPhone over WiFi. Step 1. Run AnyTrans on your PC/Mac > Make sure of that iPhone and computer are connected to the same WiFi. As you can see, with AnyTrans Air Backup Manager function, there are only three steps needed, and you can backup iPhone over WiFi without effort. Why not give it a try right now? If you have any question about it, you can contact us via email, or leave your messages in the comments below, and we will answer you as soon as possible.